Wassail! is RedHouse Arts' biggest annual project. 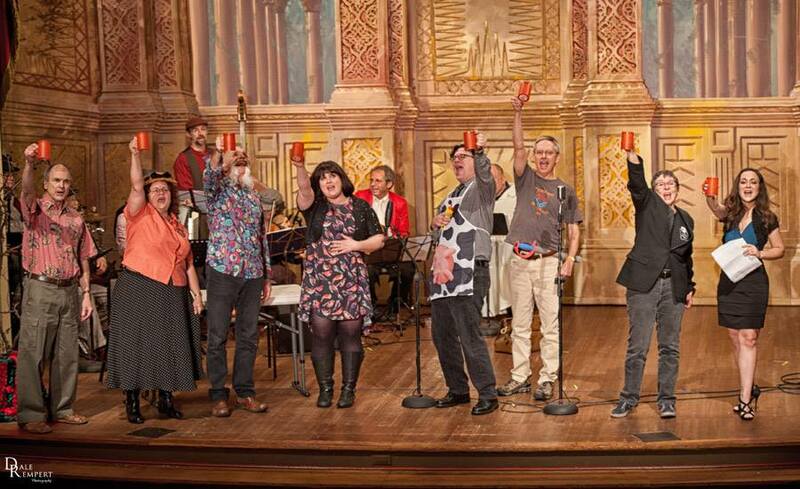 Pictured from left to right are photos from Wassail 2014 featuring three resident ensembles under the RedHouse Arts umbrella: Occasional Terpichore dance troupe (accompanied here by Bucolics Anonymous); The Quire of St. Laurel in the Lane; and The Prattsbottom Mummers. At Sky Candy, we are proud to be an all-inclusive studio - this means that we believe that everyone, no matter your age, body type or fitness level, can succeed in the aerial and circus arts. 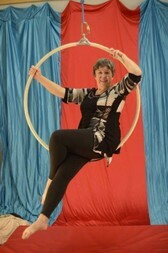 We are lucky enough to have a bunch of amazing students who prove us right every time they come to the studio, one of whom is 64 year-old aerialist and actress Chris Humphrey. Chris was kind enough to sit down with us recently to discuss her aerial journey. didjeridoo-sy piece called "Edge of my Head." Please check out my art page to see recently uploaded works. 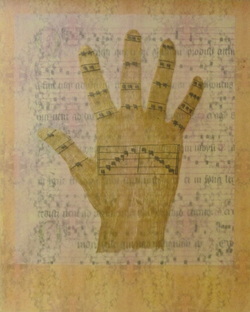 At left is a new piece entitled Guido's Hand II. And the award for Outstanding Featured Actress in a Comedy goes to Chris Humphrey for Brides of the Moon. I've been nominated for Outstanding Featured Actress in a Comedy for my role as Mrs. Steve in "Brides of the Moon"
Winners will be announced in early November. Here's the big thrill: The nominating committee attended 169 shows during the 2012-2013 season. I was in five shows during that season. Four of the five shows I was in were nominated for B Iden Payne awards. I'm obviously keeping some very good company! Space-Gun Studios and Audacity Theater Lab proudly present audio fiction Six Second Left. Written by David Hopkins. Read by Brad McIntire. Sound design by Chris Humphrey. 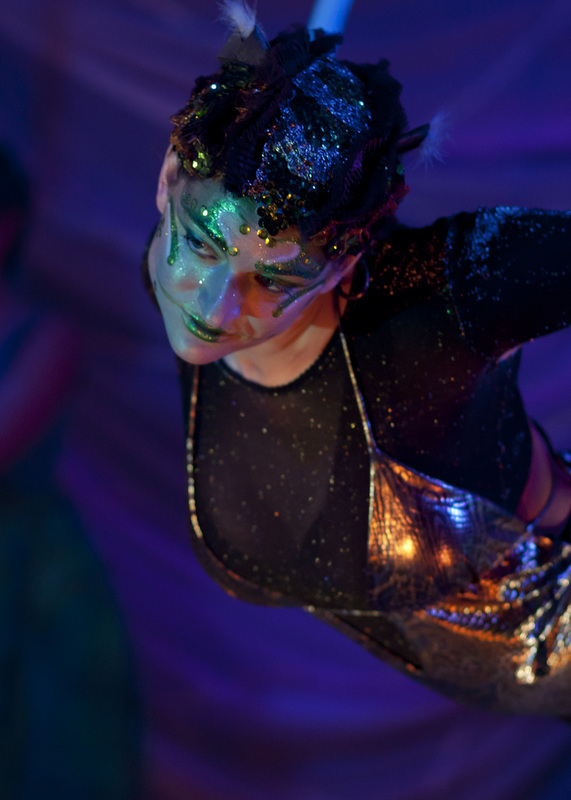 "Earth", performed by the Vortex Repertory Company in Austin TX, opened to a standing ovation on March 23. At right is the opening number, "Black Mother Dreams" by Chris Humphrey. 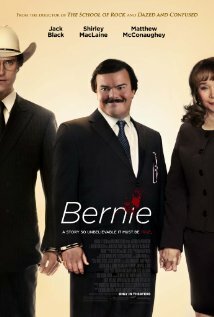 RedHouse actor Chris Humphrey appears as the enthusiastic Chamber of Commerce representative and personal friend of Bernie (played by Jack Black). Check your local listings for show times. RedHouse founder/artist Chris Humphrey won two B Iden Payne (Austin theatre industry) awards this month: Best Featured Actress in a Comedy (Nanna in MilkMilkLemonade); and Outstanding Musical Direction (The Elementals: AIR). She also received a nomination for Outstanding Original Score. 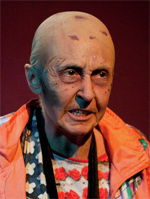 RedHouse founder Chris Humphrey garnered three B. Iden Payne (Austin theatre industry) award nominations for 2010-2011. One was for outstanding actress in a comedy for her role as mean old Nanna in MilkMilkLemonade (left). And the other two were for outstanding musical direction and outstanding original musical score for The Elementals: AIR. Winners will be announced October 24. RedHouse artist Chris Humphrey sits in with Old Gray Mule at their CD release party. Click below to hear this groovin' blues/didgeridoo combination. Ignacio Casatejada, 10-string guitarist from Madrid, will be returning to Austin in May. He will be presenting a formal concert on May 18 at St. Mary's Cathedral, and a more intimate performance at RedHouse Arts on Friday, May 20. Please check back for ticket information which will be available soon. The first in a series of theatre/dance/performance art pieces about the elements, AIR will open on February 18 at the Vortex Theatre, 2307 Manor Road, Austin, TX. The music was composed by RedHouse artist Chris Humphrey who also serves as music director for this production. For more information, including ticket purchase, please visit the Vortex. Click on thumbnail to see larger photo. To see more stunning AIR production photos by Austin photographer Kimberley Mead, click here. Click the player to hear an interview about the show and some of the music. RedHouse's performing troupes The Prattsbottom Mummers and The Occasional Terpsichore are gearing up for their annual participation in Wassail! Rehearsals have begun for the December 19 performance at Sri Atmananda Memorial School, 4100 Red River, 5:30 pm. 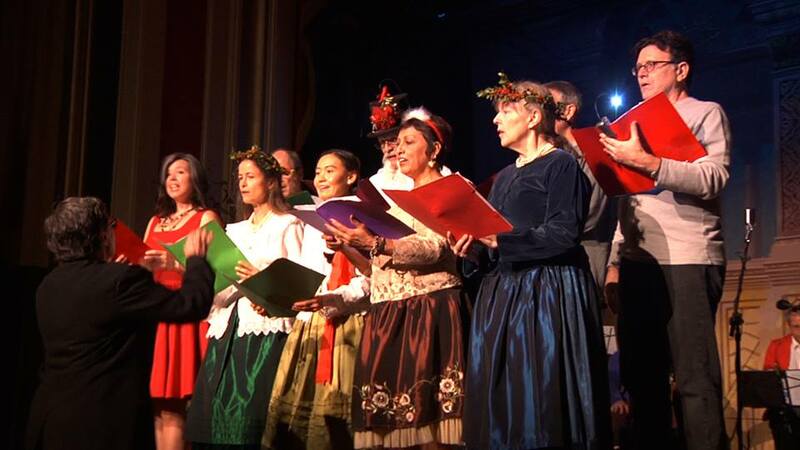 This family friendly production celebrates both the solstice and Christmas with live music, dance, mummers play, magic, poetry, storytelling, apple howling and more. $10 donation requested at the door. All proceeds benefit Kids for Kids, a charitable organization helping out the children of the Darfur region of the Sudan. 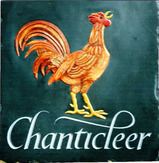 The St. Andrews United Church choir in Halifax, Nova Scotia, has sent us this recording of Chanticleer from the RedHouse choral catalog. Thank you, St. Andrews, and director Kevin Parks! RedHouse Arts now has a resident chamber ensemble/world music band, Plures Via. 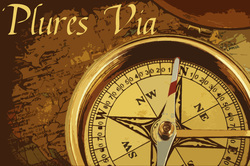 The name is Latin for "many roads" and aptly describes this new musical venture. 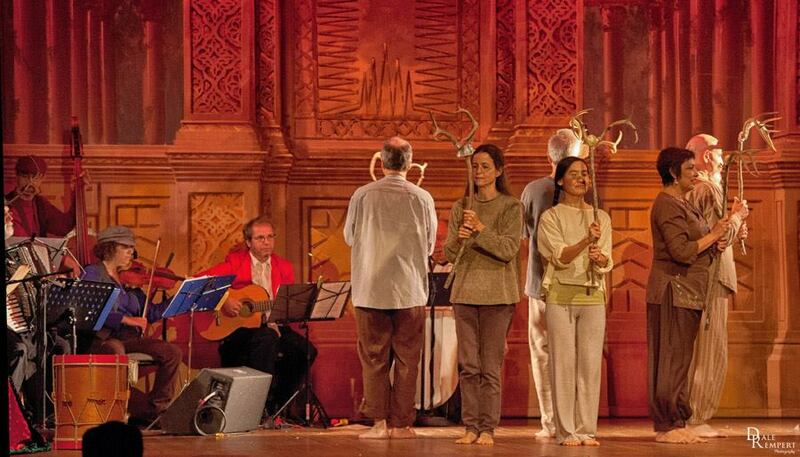 The players come from classical, folk and musical theatre backgrounds, with a collection of acoustic instruments ranging from cello and oboe to didgeridoo and hurdy gurdy. The repertoire will encompass music from the medieval, renaissance, and world (ethnic) music canons as well as original compositions by ensemble members and contemporary composers such as Arvo Pärt. Chris Humphrey has been cast in Bernie, the newest film by director Richard Linklater, starring Jack Black in the title role, with supporting roles played by Matthew McConaughey and Shirley McLaine. Shooting begins this month. RedHouse Arts is pleased to announce the addition of two new titles: By Those Sweet Eyes, an a cappella SATB Christmas anthem by Chris Humphrey; and Down in Yon Forest, an arrangement of an old English carol for SATB, flute and piano by Larry Finke. We are well aware that we're the "new kid on the block," so for a limited time only, we're offering amazing low prices on choral PDFs. Please click here to read samples of these new pieces and to place your order. More marketplace pages will be added soon, bringing you unique handcrafted jewelry and percussion instruments. Chris Humphrey has begun rehearsals for her role of Nanna in Joshua Conkel's comedy MilkMilkLemonade, produced by Shrewd Productions and directed by Jason Hays. The show runs Thursdays-Sundays, 8 pm, September 9-26 at the Vortex Theatre, 2307 Manor Road in Austin. RedHouse Arts is the official rehearsal space for this blues duo whose new CD Sound Like Somethin' Fell Off the House will be distributed by Stobie Sounds of Adelaide, Australia. The CD was released on July 31 at TC's Lounge, Austin, TX, 8 pm. RedHouse Arts congratulates Old Gray Mule and wishes them every success. Members of the Sycorax production team were guests on Lisa Schneider's show, "What's a Girl to Do" on Monday, June 14, at 11 am; KOOP radio, 91.7 fm. Lisa featured the music of Redhouse artist Chris Humphrey and discussed its role in the production. Click here to listen to this segment of Lisa's broadcast.